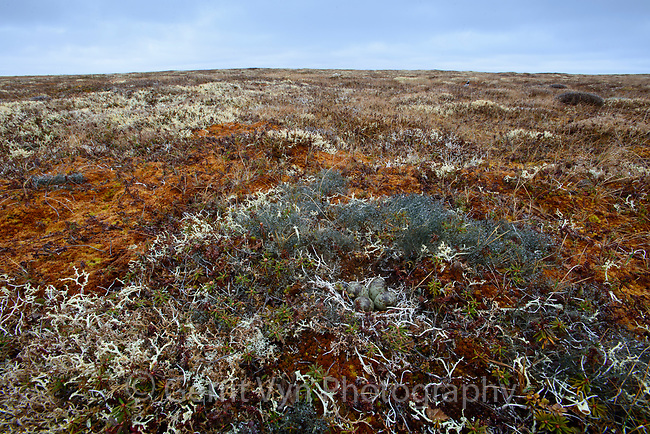 Nest and eggs of Ruddy Turnstone (Arenaria interpres) camouflaged in a tundra landscape. Yukon Delta National Wildlife Refuge. Alaska. June.